Three nominees here, but a very clear winner. Third place goes to the Mid-Ohio ALMS race, that saw a 1-2 finish for Dyson Racing against both the Champion Audis and the factory Zytek, and an LMP2 win for the BK Motorsport Mazda (which was stuck in the gravel as the race ended!). Second slot is claimed by the Mosport round of the ALMS: another Dyson win after a fantastic run from Butch Leitzinger securing James Weaver’s 100th win. A fabulous GT1 battle saw the ACEMCO Saleen press the Corvettes harder than ever too. The winner here though was a clear one – rated by many here and elsewhere as one of, if not THE best sportscar races of the decade so far, this race had it all. Europe’s quickest LMP1 was there to play (and would eventually win), while the GT1 battle was enlivened no end by the attendance of the Aston Martin Racing DBR9s. LMP2 would see the delayed debut of the Penske Racing Porsche RS Spyder, which would race amongst the LMP1s throughout the race. There was incident aplenty and some fabulous wheel to wheel racing too. The LMP1 pack was a great race almost from lights to flag and the GT1 battle was just stunning, with the Maserati MC12 hitting some rich form to complete a six car supercar train. 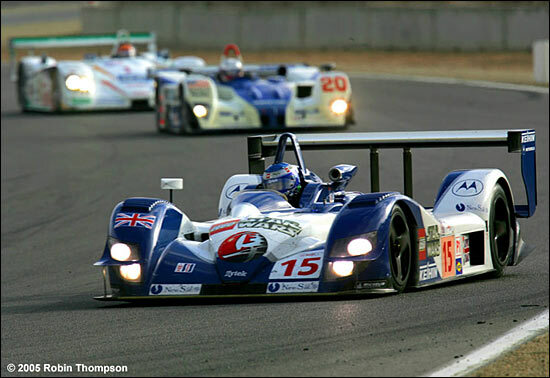 The moments when the LMP1 pack caught the GT1 battle to lap them will live with those who witnessed it forever. This race showed that a classic endurance race can be just that, even if the concluding laps, at the front anyway, have already seen the race for the win effectively played out. 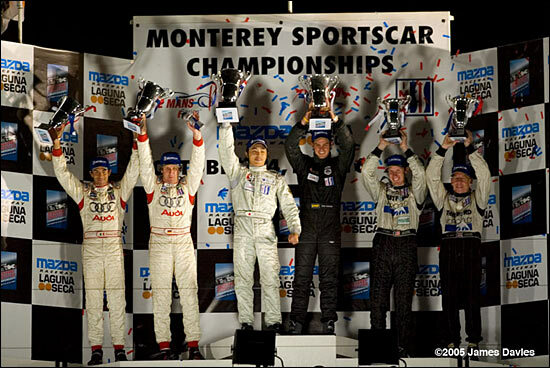 The dailysportscar.com Race of the Year 2005 for North America is the Monterey Sportscar Championship at Laguna Seca. 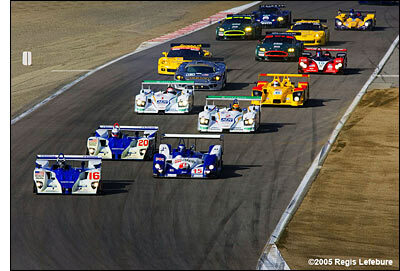 “Laguna Seca had everything, and into the darkness in the best setting on the planet!” Tom Kjos.